If it’s times to update the resume because you are getting call after call to audition for your next big job, you might want to give some meaningful thought into the words you choose to express yourself. It might feel great when you get the call and they want to set you up for an interview but do you ask yourself how you even got that far? 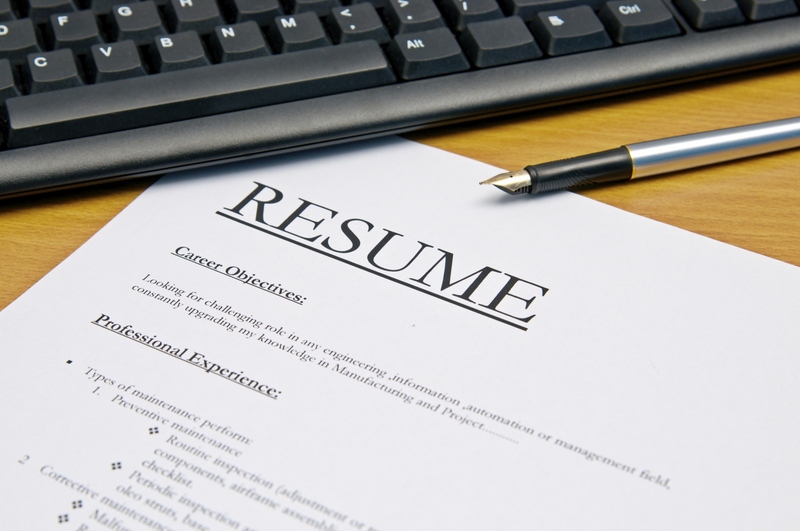 It may have been through an introduction or it may just have been the compelling words on your resume whatever the reason knowing what terms or phrases to avoid on your resume might help you get one step closer to landing the perfect job. Thought Leader: When it comes to describing your leadership qualities and those you may admire in others, using this phrase to highlight your ability to be both thoughtful and a leader in one phrase seems over reaching and not a great way to explain how you truly think, feel and lead. Thinking Outside The Box: Depending on whose box you are thinking “in” or “out” of may not be to your advantage when you are trying to explain how “creative” a thinker you really are. Best to think of another way that bests describe your ability to be innovative by citing a few key business examples rather than overusing a phrase that really isn’t very original to begin with. Strategic Thinker: Much like being a thought leader being strategic is not something you need to think too much about if you are truly “strategic”. Showing someone how strategic you are is always about highlighting your professional results and not merely declaring you are able to think or act strategically. You need to prove it in order to convince someone else that you are strategic. Results Oriented: Your orientation towards results is a given if you are good at what you do. Stating that fact is one thing but highlighting your accomplishments and the way your results increased profitability for the company is another. Show me the money and we’ll show you results. Highly Motivated: You may be motivated by your work and your ambition to succeed but telling someone you don’t know in your resume about your motivations is not necessarily going to win you any extra points. Let’s put it this way, one would hope you are motivated, no need to pronounce it as some professional revelation. Change Agent: Not everyone likes change. Change for change sake is not necessarily something you need to brag about. Being an agent of change implies you can make things happen. Just be careful that your agent status does not make you seem like you are a security breach or a career operative. Dynamic: Being a dynamo is great when you are setting up a dating profile but describing yourself that way in a work situation is not necessarily the way to get the support of others. Describing yourself as “dynamic” is great if you are trying out for a professional soccer league. Bottom Line: When describing your skills like a balance sheet be careful not to make yourself appear to be so goal oriented that you miss the big picture. Being able to relate to the people in your professional circle the way you can manage your departmental budget takes more skill than being a bottom line bouncer. Best in Class: This might work for entry into a “dog show” competition but not when you are trying to explain how great you are as it relates to your professional skills. Save the “best in” for a beauty contest and not your resume. Team Player: This phrase may have meaning when watching the World Cup but when you talk about how well you play with others in the workplace, it’s not necessary to let everyone know you can and will play nicely with other employees if your job depended on it. Making sure you represent yourself in person as well as you do on your resume should not be considered an art form, but should take more than just common sense when you make an effort to stand out.